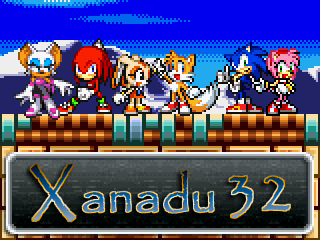 Flash / Xanadu32 / Sonic Boom Cannon 3D! Well its that time of year again~ After several months of hard labour and sleepless nights, I am happy to present : Sonic Boom Cannon 3D! This one is quite a bit smaller than SBC2 and it takes a slight "redirection". Shoot into the horizon for distance and rings. Unlock everything for the secret ending! Final Fantasy: Darkness Falls #1 ~ Episode #1 of the "Darkness Falls" series! This series picks up from about 5 years after Kefka has been defeated...or has he?! Valentine's Day Tribute ~ A Valentine's Day gag created by our special guest flash artist. This flash was considered so bad it was "Blammed" from Newgrounds. However, here at Kuro-RPG, it's proudly presented. Enterprise Flashed: These Are the Voyages? ~ When Starfleet uncovers the mystery of the lost Pegasus, Commander Riker is faced with a hard decision. He decides to re-visit the Enterprise of the past to explore his options. Chrono Trigger Garage Sale ~ The Chrono Trigger production team offers up game leftover props at amazing prices! Final Fantasy 6: The Time Before Pt. 5 ~ The 5th installment in the "The Time Before" series.